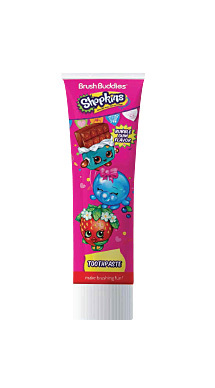 It is important that a people practice positive oral hygiene and brush his/her teeth regularly both the times so we developed Shopkins Bubble Gum Toothpaste to encourage their healthy brushing habits. 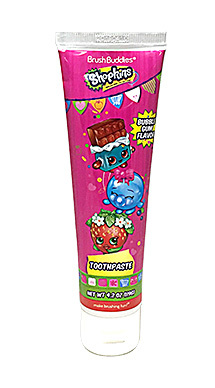 We belive that this delicious tasting bubble gum flavored toothpaste will teach children and adult the importance of dental care. 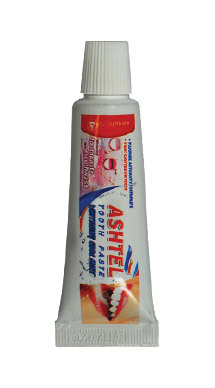 Ashtel Toothpaste is a whitening anticavity toothpaste with fluoride and mouthwash that strengthens your teeth and freshens your breath. Contains .85oz of paste. 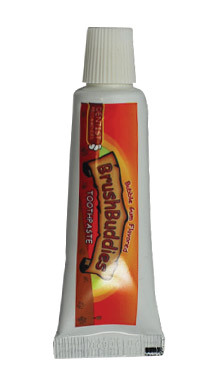 Brush Buddies Bubblegum Toothpaste comes in a great tasting bubblegum flavor that kids love to brush with. Contains .85oz of paste.